The days are growing shorter, but the light show of autumn colors is only just beginning. Have you ever taken a boat ride to see the changing leaves? If you're the planning type, check the Fall Foliage Prediction Map to see where color is peaking, or just take the boat out to your favorite lake and see what you can see. 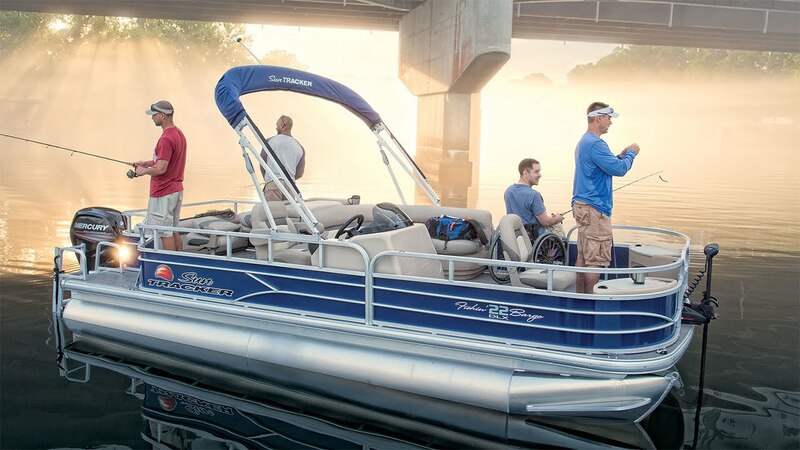 Here are five of the Skipper's picks for colorful fall boating. Fall colors are beautiful all across the upper Midwest, but autumn in Door County is something special. Canoe, kayak, sail, or motor along the rocky shores of this peninsula that juts into Lake Michigan. There's much to explore for all ages with color tours and events like the Harvest Festival in Sturgeon Bay and the Fall Harvest Fest at Lautenbach's Orchard Country. The hardwood forests of New England become a veritable fireworks show in early October, and the coastal inlets of Maine are wonderful places to explore by boat. Don't miss the world-famous Pumpkinfest and Regatta in Damariscotta. The festival celebrates the beloved round orange squash on the second weekend in October. The regatta pits "squashbucklers" against each other, racing boats made from gigantic pumpkins. Even the buoys are pumpkins! Lake Chelan, Washington The Pacific Northwest's scenery is always beautiful, but it becomes extraordinary in the fall. Long, curving Lake Chelan is one of the region's most popular and gorgeous destinations for hikers and boaters alike. The daytime temperatures are comfortably warm well into October, so paddle and fish the clear, cold water in your own boat (or rent one). Just a few hours' scenic drive from Seattle, Lake Chelan stretches across two national forests and promises a magnificent color show each fall. Long a destination for artists, the western Michigan town of Saugatuck is rich with galleries, antique shops, and romantic bed-and-breakfast accommodations. Spend the day pontoon boating on Kalamazoo Lake, or take a bigger boat cruising down the Kalamazoo River to Lake Michigan. Explore the Saugatuck Dunes, sip local wine, and take plenty of photos to preserve the memories of Saugatuck's autumn beauty. Along the Blue Ridge Parkway near Blowing Rock is Price Lake. Rent a canoe, kayak, or rowboat and take in the fall colors from this 47-acre lake. Price Lake is well-stocked with fish and is surrounded by hiking trails. Enjoy the mild North Carolina autumn at the foot of Grandfather Mountain. As always, wear your life jacket and don't drive drunk. What's your favorite fall boating spot? This entry was posted in General and tagged washington, damariscotta, autumn, fall, safe boating, great lakes skipper, pontoon boat, michigan, door county, boating on September 16, 2016 by Great Lakes Skipper.